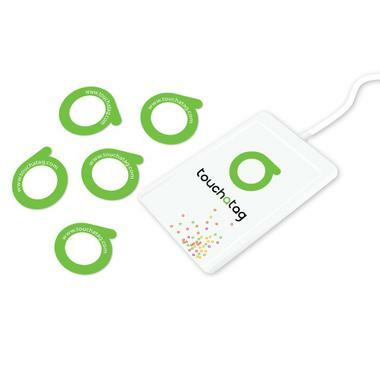 Bring the RFID technique to your home with the touchatag. Touchatag is a RFID system for your home. The small tags contain RFID chips, which you can stick onto everything you want. If you bring a tag near the reading device, your computer will automatically start the reaction you programmed before. Touchatag is a complete RFID System for your computer. "RFID" stands for "Radio Frequeny Identification" and is widely used nowadays. Using this technique, you can read information on small RFID chips without touching them. For example, RFID chips are already used in German passports or in many payment cards. With the touchatag, you can bring the RFID technique to your home. The touchatag system is made from two components: The reading device and the RFID chips, called tags. The tags are built into small stickers so that you can easily affix them nearly everywhere. The reading device is connected to your computer by USB and can then read out the ID number stored on the tags. You can then program an reaction to each tag, which is activated when it is brought near the reading device. For example, you could connect your businesscard with your Facebook profile or you can connect a book to an audio file which reads this book. 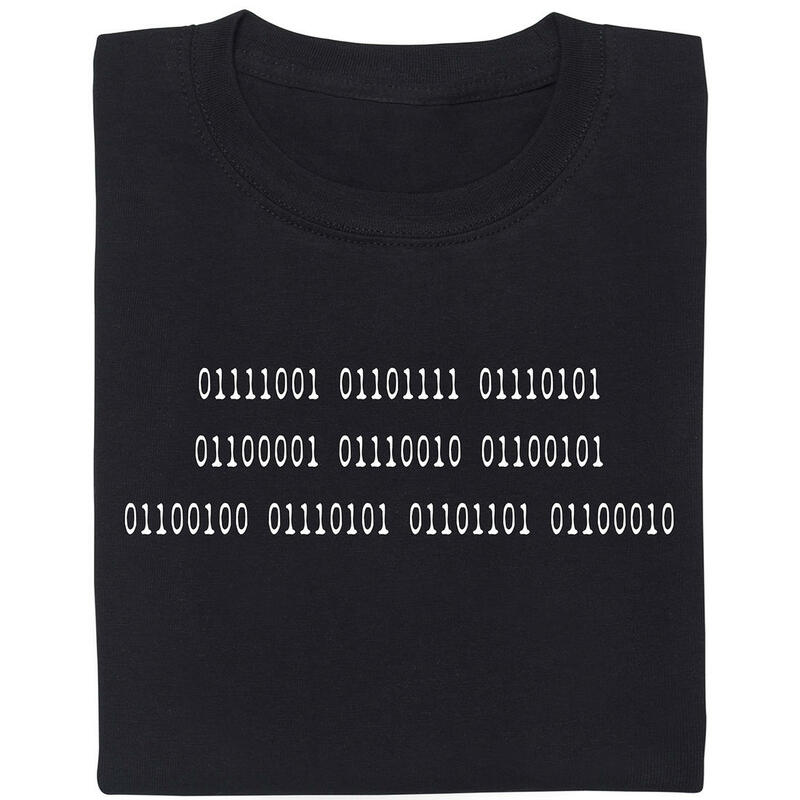 The actions are stored on an internet server from the manufacturer so that the tags work everywhere and not only on your computer. The reading device has the dimensions 6*10*1cm and the tag stickers have a diameter of 3cm. The software for the reading device works with Windows Vista, XP and Mac OS X >10.4. The device comes with 10 tags (RFID chips), additional tags can be ordered in packs of 25 each. Note: Touchatag is out of production. For those that do not run their own application or service, there are some alternatives available that you can use with your touchatag hardware. You could try out Iotope. This service is as close as you can get to the touchatag service. It is still in the early stages, but you can already use your old touchatag weblink apps with it. 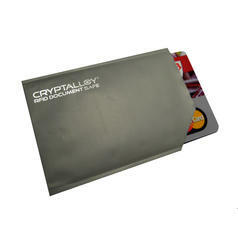 from 6,95 € lade... RFID Protection Cover In this cover, the RFID chips in your smartcards cannot be read out unnoticed anymore.